Behavioral Interventions--For Kids! : Squeeze out that stress. Stress balls can be used for, of course, stress, anxiety and also as a fidget tool. This is how I usually run this activity but, you can use whatever verbiage and strategies work for you and your client(s). Begin the process by reviewing how stress/anxiety/anger..all those fillings can build and build (let them play with the play-dough while you review). 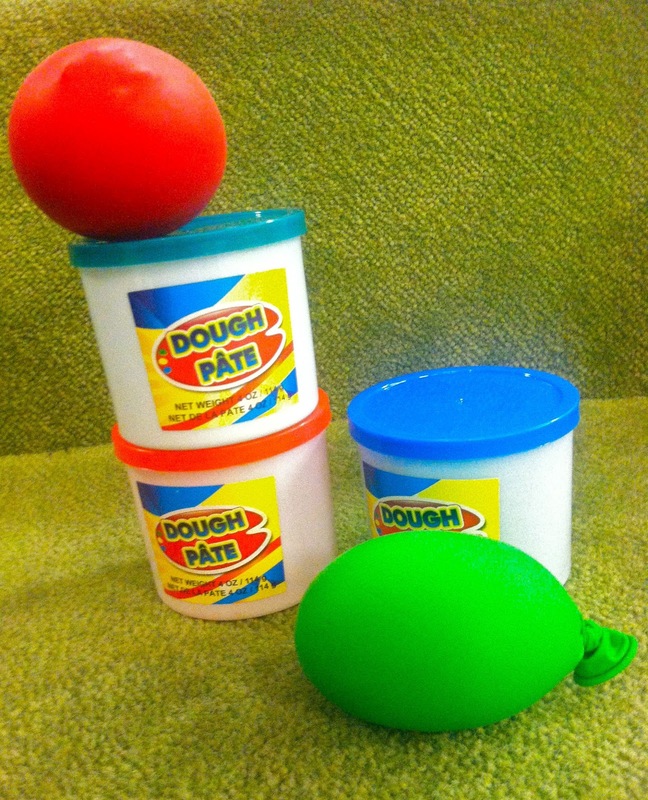 Some stresses/etc are small...some are very big (hold up various sized chunks of dough as a visual). Prompt them brainstorm their current stress/anxiety/frustration and create chunks that represent their size. Hold open a balloon (stretch it before hand--trust me) and prompt the client to place chunks of dough inside. As they fill the balloon have them state what the chunks represent and process those stresses with them (Review them copin' skills folks!). Once filled, tie the balloon off. Now, I usually shove this balloon inside another one--its a little of a struggle--but, it reinforces the ball for better squeezes. Have the client squeeze and squish out their frustrations! Oh and remember--Making faces while doing this helps tremendously, of course (everyone needs a 'grr' face! ).